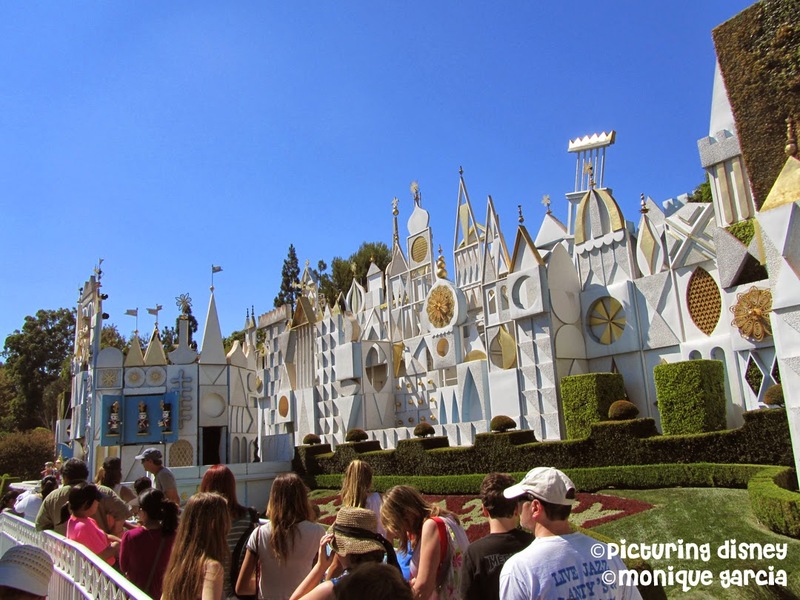 Picturing Disney: Happy 50th Birthday, It’s A Small World! 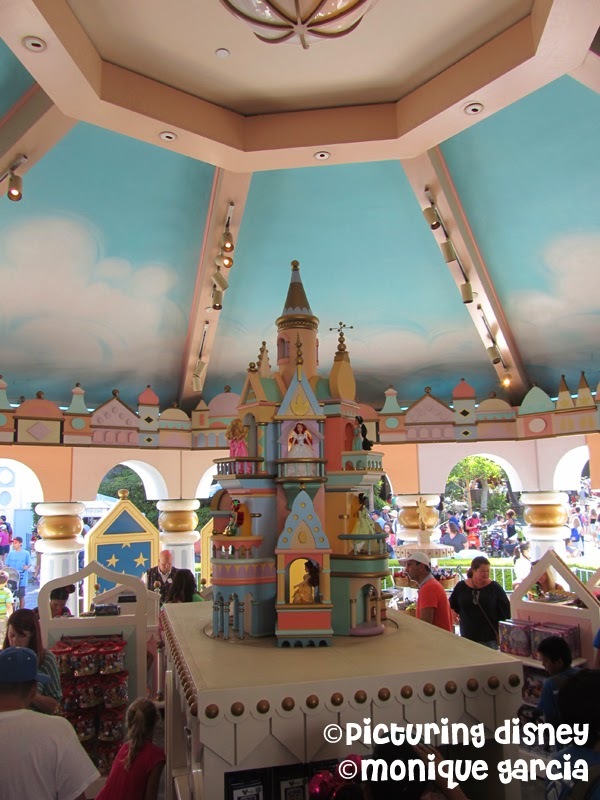 It’s A Small World turns 50 this week. Amounting to this celebration, Disney has posted pictures and history to their blogs and spread the cheer throughout social media. “The Happiest Cruise that Ever Sailed” was originally created for the 1964-1965 New York World’s Fair. It was created in honor of the United Nations Children’s Fund (UNICEF). It was transferred to the Disneyland Resort and opened on May 28, 1966. This E-Ticket attraction has been re-imagined for each of the Disney Parks around the world. This attraction is definitely a staple to each of the family vacation to Disney World. Recently, I was finally blessed to be able to trek out to Disneyland and ride the original (or at least its latest reincarnation). 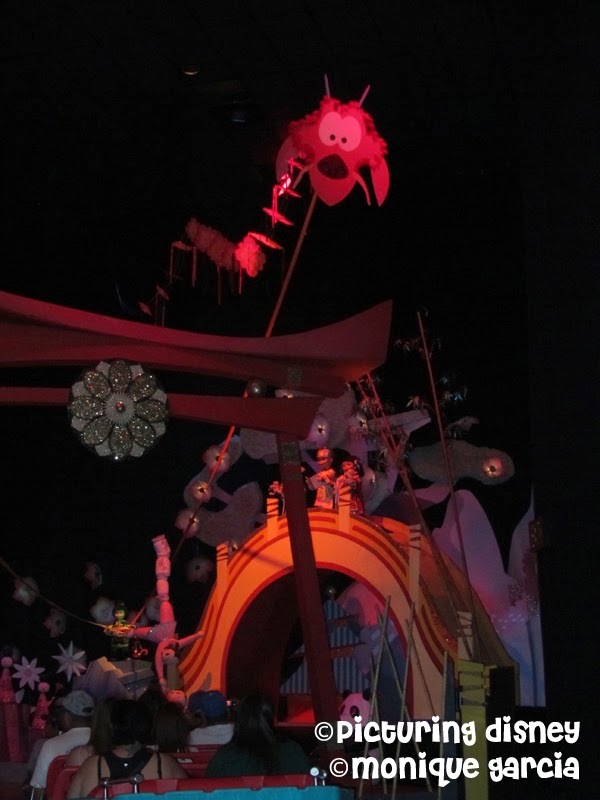 As the first It's A Small World attraction, it has undergone many updates. The 2008 refurbishment brought in a cast of 37 familiar faces to the Disney community. In each scene, characters from Disney and Pixar films can be found amongst the other 300+ dolls that had been in place since opening day. During the holiday season, It's A Small World undergoes a holiday transformation including songs featured in the attraction. They have also created a nighttime presentation on the outside facade of It's A Small World, which also undergoes its own Holiday treatment. 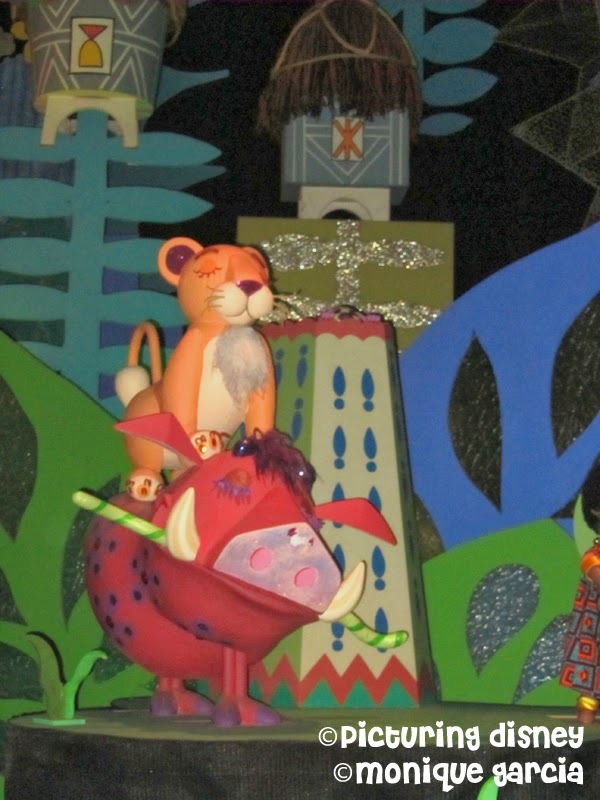 As in Picturing Disney fashion, here are some photos from It’s A Small World in Disneyland. Disneyland's loading bay is outside. you can catch his little face popping out ever so slightly. been included but was not there when I made my visit. colors instead of the white, gold, and blue hues. It's A Small Toy Shop. 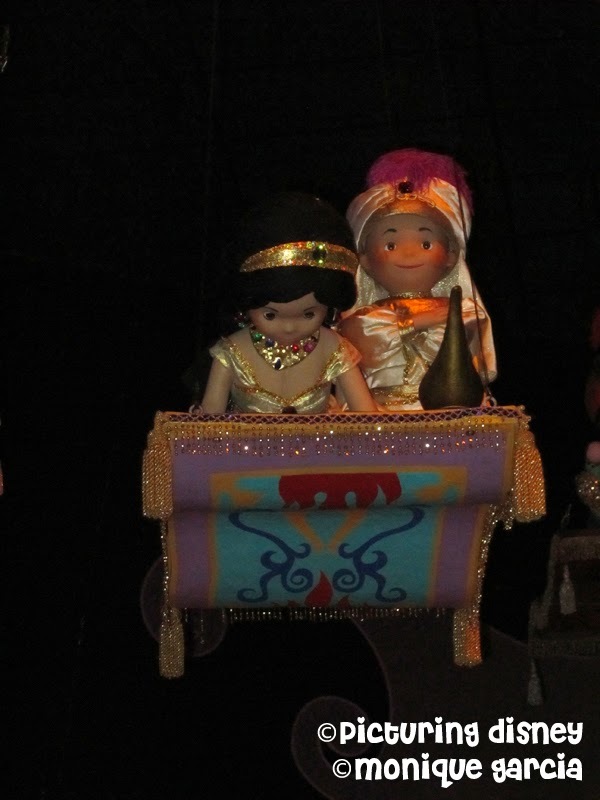 In the next post, I'll share some photos from the It's A Small World Attraction in Walt Disney World.